Please use iLog to keep a permanent record of your daily swims with B&B. Using iLog really helps our swimmers who double up as sensational & dedicated volunteer administrators ! And... what's more is it's easy & fun !! Thanks to Medibank Free+Active, just by logging your swims you go in the running to win $100 Rebel Sport Voucher for being 'Random Swimmer of the Month'. 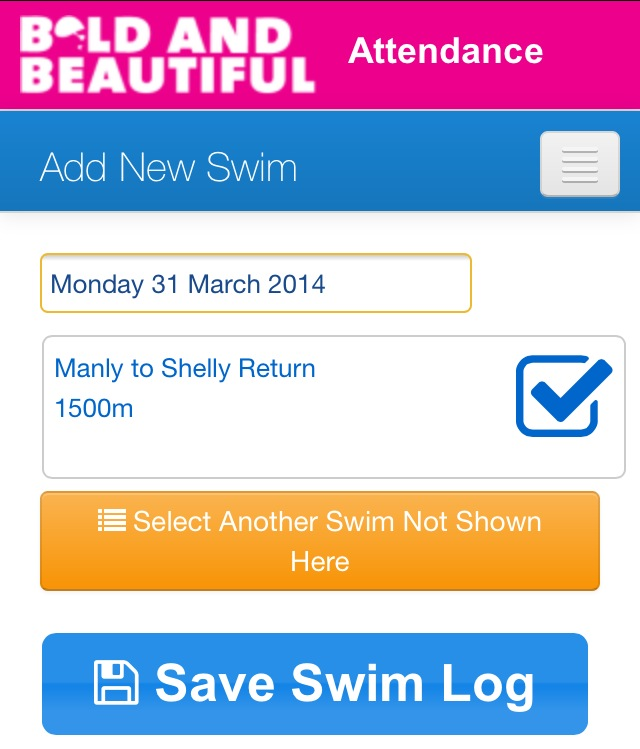 Log your swim ANYTIME of day using this super efficient and easy webpage to ensure your swim is recorded in the daily attendance & on the Pacific Challenge. Log by 9am to be in the running to be 'Swimmer of the Day' ! Ian will ensure your email address is activated on the attendance register, then email you info on how to get started. Super duper easy & fun !!! Most swimmers are now using the B&B i-Log, please join them and register now ! !